Is Network Security a Good Career for Me? Digitization has immensely transformed our world, resulting in changes in almost every aspect of our lives. If businesses and organizations aim at delivering exceptional services needed by customers and employees, they have to protect their computer networks. With hackers becoming more devious and increasing by the numbers with each passing day, the need for network security becomes more and more important. Network security is the process of taking preventive measures to protect networking infrastructures from unauthorized access, destruction, malfunction, modification, misuse, and improper disclosure. This creates a platform where programs, computers, and users can perform their functions within a secure environment. Network security involves both software and hardware technologies. It targets numerous threats and prevents them from accessing a network or spreading. Network security brings together several layers of defense in the network and at the edge. Each layer implements controls and policies with an aim of enhancing the network’s security. Effective network security allows authorized users to access the network resources while blocking malicious actors from carrying out exploits and threats. What are the Major Components of Network Security? Cybersecurity is a subset of information security that focuses on protecting systems that are connected to the internet, including data, programs, software, and hardware from potential cyber-attacks. Cybersecurity aims at protecting the integrity of networks from unauthorized access. Network security, on the other hand, is a subset of cyber security that deals with protecting the integrity of a network as well as the data, which is being transferred between the devices within that network. When looking at cybersecurity and network security from a standpoint of protecting data both at rest and in motion, then cybersecurity covers data at rest, while network security deal with protecting data traveling across the network. If you're interested in protecting the integrity of networks malicious actors and defeat individuals who make it a hobby to compromise businesses, you’ll need the right training in order to accomplish that. Education on network and cyber security exposes you to most of the common methods used by hackers to infiltrate networks. Monitor networks and evaluate problems to ensure that users have access. Identify the needs of the customer and utilize the information to assess and design network requirements. Troubleshoot, administer, and manage software, hardware or services for single, mixed, or multi-user environments. Plan, coordinate, and implement prevention measures. Prevent security breaches by installing security software and monitoring networks. Use cybersecurity measures to expertly manage data and personnel conducts in order to safeguard the information. Know how to perform penetration testing and vulnerability analysis of organizations. Learn how to create basic security policies and procedures to help monitor and defend networks. Having a cyber and network security degree reflects the application of theory to match industry guidelines and standards. In the end, graduates are able to synthesize and apply the knowledge and skills acquired to succeed in the network security workforce. There's a very high demand for network security personnel. The employment rate is expected to grow 28 percent from 2016 to 2026, according to the Bureau of Labor and Statistics. Most employers prefer hiring candidates with a bachelor’s degree in cyber and network security, with IT certifications being an added advantage. The need for cyber and network security is not unique to one types of industry or business. Hacks, breaches, and other forms of cyber-attacks can affect any type of company or organization. That gives a network security professional a wide range of career options to choose from. You may get an entry-level job as a security administrator, system administrator, or network administrator. Once you become a security specialist, you can aim for higher level jobs such as security Manager, Security Architect, IT Project Manager, and Security Consultant. Management and interpersonal skills are a necessity for the administrative duties of a network security expert since they regularly communicate with other professionals in the organizations. 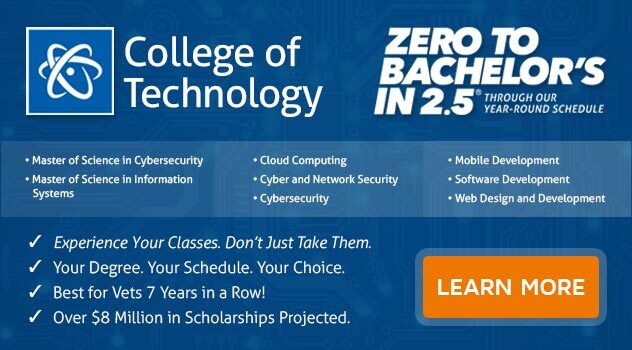 If you’re interested in earning a degree in cyber and network security, consider enrolling for the Bachelor of Science in Computer and Information Science with a Major in Cyber and Network Security at ECPI University. We offer this program at an accelerated schedule and this means you could earn your degree in as little as 2.5 years. Connect with a helpful admissions counselor today for more information.